Automation and orchestration are very similar topics. Automation is all about making tasks run without your input. This has been the driving focus in networking and many other disciplines for a while. The idea that menial tasks can be done without operator input means more time to do other important things. Likewise, orchestration is all about making sure that things are done right at the start. Great orchestration tools allow you to define policies and outcomes and make them happen. There are frameworks and tools that execute to make enact those policies. In the end, the system is programmed correctly at all times even as new devices are brought online and introduced into the environment. Though they may sound similar, automation and orchestration are actually coming at the same problem from much different angles. Let’s start with automation because it’s an easy topic to grasp. You have a task that you want to accomplish and you want to do it without the need to touch anything. That’s very straightforward. The method of automation could be wildly different baed on the environment. It could be a script or a program or even an entire automation framework. Automation, at its core, is about tasks. It focuses on the individual aspects of a larger system. Professionals may have a strategy for automating portions of their network or data center, but each part of the strategy is focused on one specific task. Perhaps it’s VLAN tagging or port descriptions. Whatever it is, it always revolves around something. This is a classic example of bottom-up design. Automation is focused at the lowest level of the chain and builds from there. This is almost always how automation frameworks are implemented inside of any organization. Professionals start by automating something that’s easy to measure and has very little impact if it fails. Once that task is complete, the automate something else. Pretty soon, there is a lot of automation going on and people are happy that they have more time to focus on putting out other fires. The one drawback of automation is this haphazard deployment strategy. Professionals often look at the amount of tasks in their environment that need to be automated and they give up before they ever really get started. Because the nature of automation is so task focused, it’s easy to get overwhelmed. One of the best automation solutions that has been seen in recent years is StackStorm from Extreme Networks. It tries to resolve the issues with task-focused automation by looking instead at events. This pseudo-orchestration type of view helps professional rise above the focus on individual, isolated items and instead automate entire events. That means that entire sections of tasks can be easily automated and the large number of them in the environment can quickly be reduced without much extra effort. If automation is the bottom-up design method, the orchestration is absolutely the top-down counterpart. Automation is born from the idea that a task needs to be done without human intervention. Orchestration is the idea that all tasks need to be done that way. Orchestration requires a lot of time and planning effort. That’s because it’s not driven by a single task or even a single group of tasks. Instead, the driver behind orchestration is the policy. Policies dictate what needs to happen. They don’t specific how that’s going to occur. The details are left up to the implementation of the system that carries out the policy. Unsurprisingly, the biggest hurdle in orchestration is getting the system off the ground in the first place. Orchestration systems require a lot of preplanning in order to utilize them effectively. Processes must be analyzed. Tasks must be documented. Professionals must make a big effort to figure out what they do for various job roles and tasks and find ways to optimize their execution of them through orchestration. Orchestration system implementation usually falls apart long before it has an impact on the organization. That’s because stakeholders often see the investment made in the system and get too focused on the goals before they see the work being completed. Lack of return on that investment kills any hope of payoff in the long run because of the myopia of immediate gains. It’s somewhat ironic that incomplete bottom-up implementations win more often because they can provide payoff long before and orchestration system can ever be turned up. Another key component of orchestration systems is that they need to be able to touch multiple devices in the network and other systems without massive integration issues. That’s why Juniper Networks is leading the way in orchestration software. The Juniper networking operating system, Junos, has made many strides over the years to allow orchestration systems to integrate easily to configure policy and other things without a huge need to integrate a large number of tools and translators. Orchestration systems can build their implementation details easily with Junos because it responds well to being programmed in that manner. Companies looking to implement an orchestration system need to start now with documentation and diagrams of everything. It’s critical that professionals write down all the details for major tasks like bringing systems online and getting them configured correctly. By mapping out these processes and structures, the actual implementation time of an orchestration system can be cut drastically and the return on the investment can be realized much more quickly and help the stakeholders realize the power behind orchestration. Orchestration and automation have very different starting places but they have very similar results. More processes being handled automatically means more time for professionals to solve other issues and do more to streamline other processes and technologies. The key is to find the way that works the best for you and start working down that path. If you want to jump right in, automation from products like StackStorm is the way to go. If you’re a thinker or want a more cohesive strategy built around policies, you might be better off with a solution from a company like Juniper. In the end, automation and orchestration make your life easier. The key is making them happen. Gestalt IT Exclusives are original long-form posts written by the Gestalt IT team and published here first. Exclusives are highlighted in our weekly Gestalt News email. Sign up today, or follow us on Twitter! 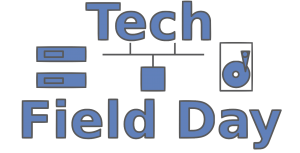 Tech Field Day events bring together innovative IT product vendors and independent thought leaders to share information and opinions in a presentation and discussion format. Independent bloggers, speakers, freelance writers, and podcasters have a public presence that has immense influence on the ways that products and companies are perceived by IT practitioners. The world of media has changed, with social media and blogging gaining special importance. Tech Field Day is an opportunity for tech companies and independent writers to meet, update and discuss products and form new communications.